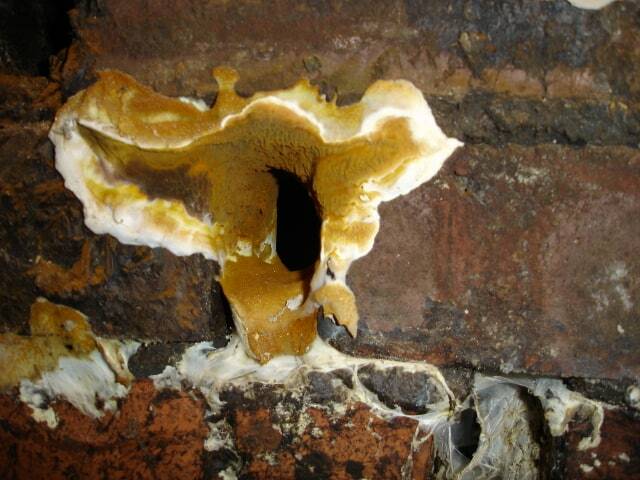 True Dry Rot Fungus (Serpula Lacrymans) can have a devastating effect on a property if not caught in its early stages. 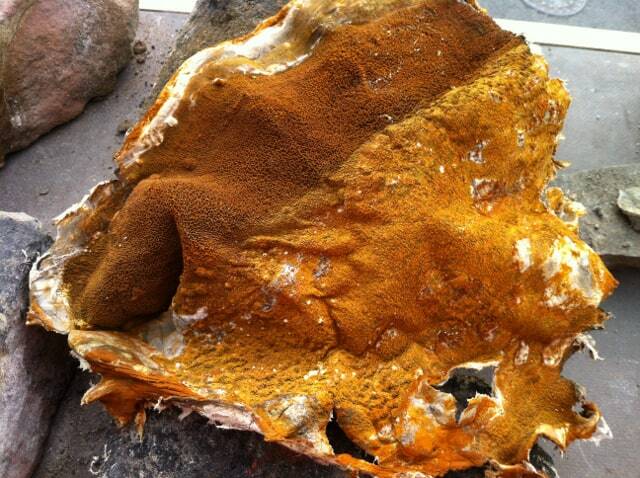 Dry rot spores are considered as omnipresent and no environment is considered free from them. The spores will geminate and grow in timber with a moisture content of between 20% and 30%. The fine fungal thread (hypha) digests the cellulose and hemi-cellulose fraction of the wood, but does not attack the structural lignin. These remain as a brittle matrix which cracks into cubes and differential stresses. Cuboidal cracking which is also characteristic of many Wet Rots and does not automatically indicate the presence of Dry Rot. Fungal hyphae may clump together into a variety of structures known as mycelia which takes various forms depending on the surrounding conditions. They may fill a humus cavity as a cotton wool like mass or grow across the surface of the timber as a grey/white skin. Active Dry Rot (Serpula lacrymans) has a fresh white or greyish appearance. Some hyphae grouped together to form conducting strands. Their main function is the conduction of nutrients through inert non-nutrient material i.e. brickwork, to permit eventual colonisation of the timbers. 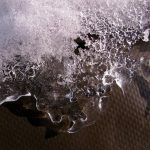 The relatively impervious outer layer, together with an unusually alkaline tolerance, allows them to survive in the mortar layers of the masonry and walls in an infested area may be full of Dry Rot strands. The Dry Rot Fungus may tolerate relatively lower moisture content and, through this and other facets of its biology, it is potentially capable of considerable destruction. A recent example of an outbreak of true Dry Rot was found by our experts in a church in Liverpool. 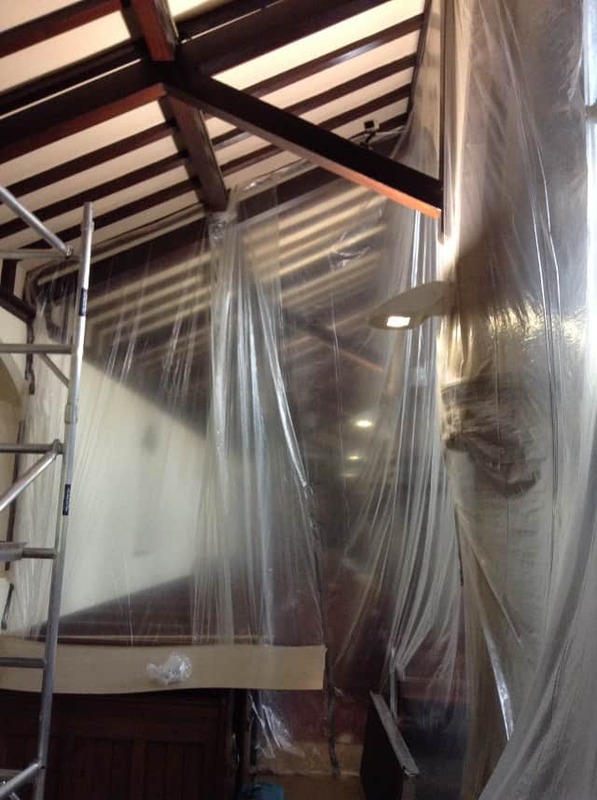 The outbreak was discovered in the rafters and a load bearing truss timber within the timber structure at ceiling level. On this occasion our experts recommended a mass irrigation sterilisation treatment to walls in excess of 150mm thick including a surface application to the exposed masonry. In areas of severe fungal decay the areas of the timbers were removed and replaced with as closely matched timbers that are pre-treated with fungicidal paste and damp proof membrane. 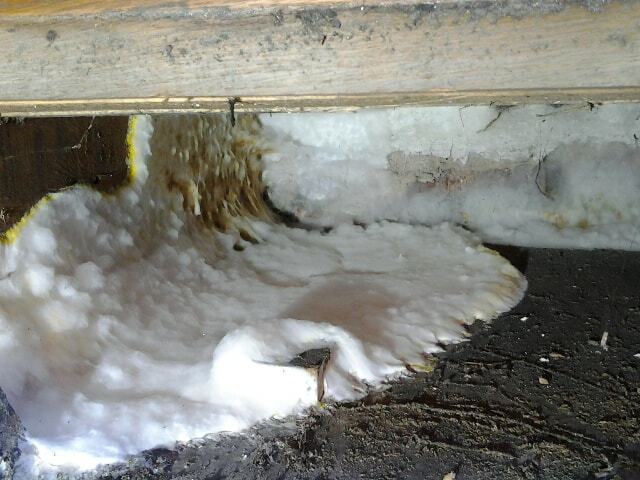 Depending on the severity of the outbreaks there are many ways in which true dry rot can be treated. If you suspect that you may have a potential Dry Rot outbreak speak to one of our experts on the best way to treat the issue and prevent the fungal decay from returning. 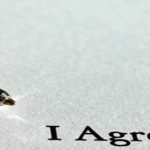 Contact our expert on 0800 288 8660 or complete our on-line survey request form to arrange a surveyor to visit.